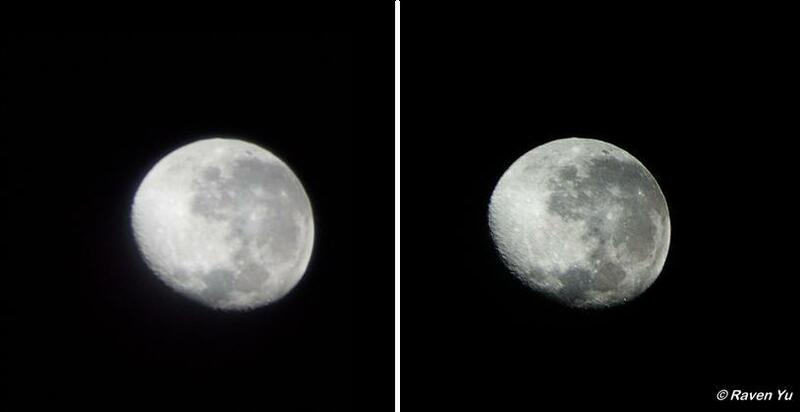 The image shown above was last night’s Full Moon called the Paschal Full Moon. 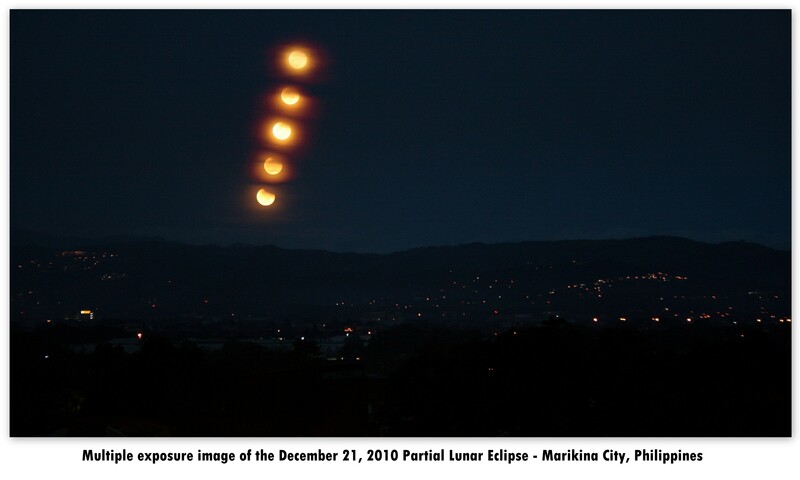 In Christianity, the first astronomical full moon after the vernal (spring) equinox is usually designated as the Paschal Full Moon or the Paschal Term. Traditionally, Easter is observed on the Sunday after the Paschal Full Moon. 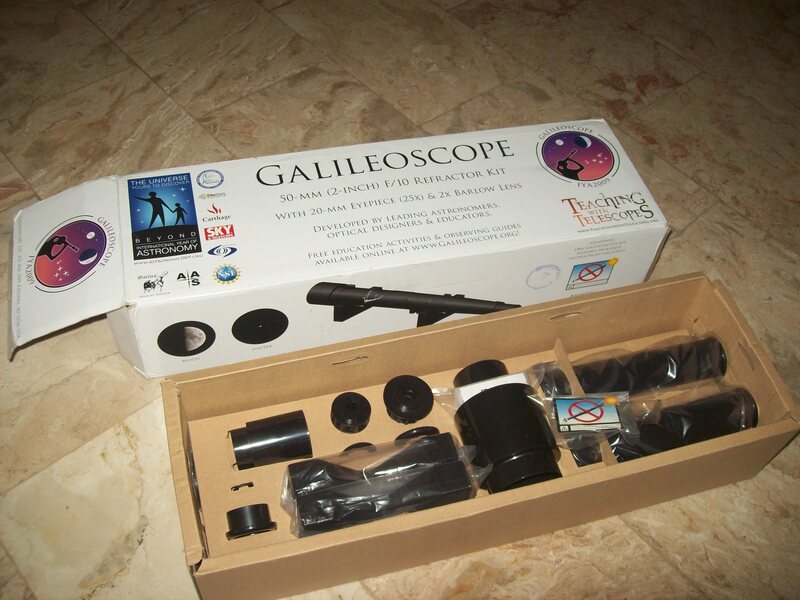 After several months of waiting, I finallly got my IYA 2009 Galileoscope which I ordered from the Galileoscope website. I’m soo happy! There were some shipping problems, and it took longer than expected (they arrived about a month ago but I’ve been too busy to write up this post). Before anything else, I would like to thank the following for their enormous help. The Galileoscope is a ‘cornerstone project’ of the International Year of Astronomy (IYA). 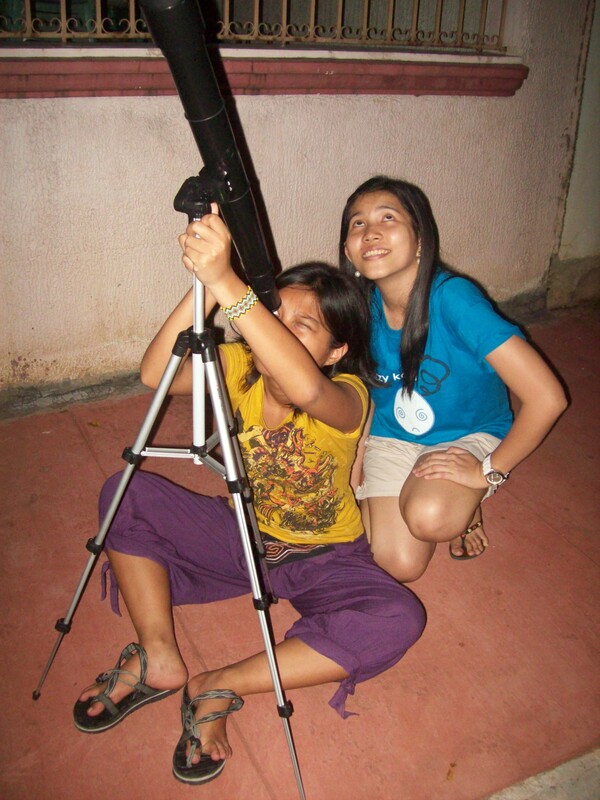 It is a high-quality, inexpensive telescope kit designed by a team of folks who wanted to make the night sky available to as wide an audience as possible, especially young people. Peeking through a Galileoscope is like seeing the celestial wonders that Galileo first glimpsed 400 years ago, which still delight stargazers today, including lunar mountains and craters, Jupiter’s moons, the phases of Venus, Saturn’s rings and countless stars and deep-sky objects invisible to the naked eye. It incorporates features such as achromatic optics, stray-light rejection and a 1.25-inch focuser normally found only on more expensive telescopes. It comes packed pretty well, and all the pieces were there. The 50-mm f/10 objective lens is an achromat made from two types of glass, and the 20-mm (25x) eyepiece employs two achromats — a total of four lenses — made from two types of plastic (this four-element configuration is similar to that of the popular Plössl eyepiece, a high-quality design rarely seen on any telescope eyepiece). The plastic in the tube is solid and fits together pretty well. However, I will say that the instructions are not terribly clear; I had to download the additional pictorial instructions from the website in order to better understand the whole assembly procedure. Assembly took about twenty minutes. When it was done, I mounted it on a sturdy camera tripod that was available then. I first looked on the bright planet Venus which I saw in its crescent phase. An hour later after sunset, we point it on the waning gibbous moon and then to Jupiter. Through low power the planet is easily resolved as a disk, with its four largest moons. I could even just barely make out two or three of the cloud stripes on Jupiter. My first lunar image through a Galileoscope! Wish I could learn how to attach a Philips ToUCam to it soon, without buying an expensive camera adapter. 😀 Haha! The higher-power eyepiece was almost impossible to use, which I actually expected — it’s hard enough in much more expensive telescopes. Higher power means smaller field of view, so finding objects is tough. 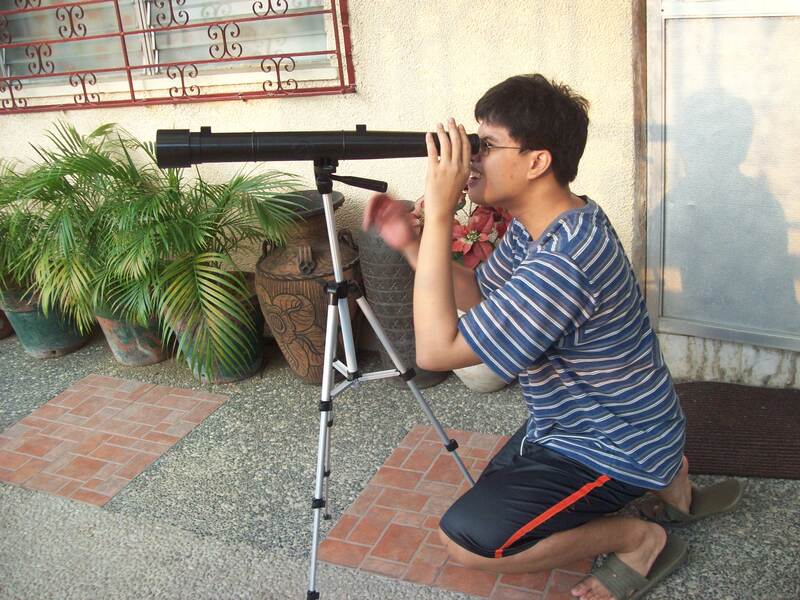 Focusing is hard as well, since the target is hard to keep centered given that telescope has no adjustment knobs for easier navigation. Perhaps it would be better to find the best focus with both eyepieces and then mark the slider tubes with a white or silver marker that you can be seen in the dark. That way, one can pre-focus. View full optical specification here.